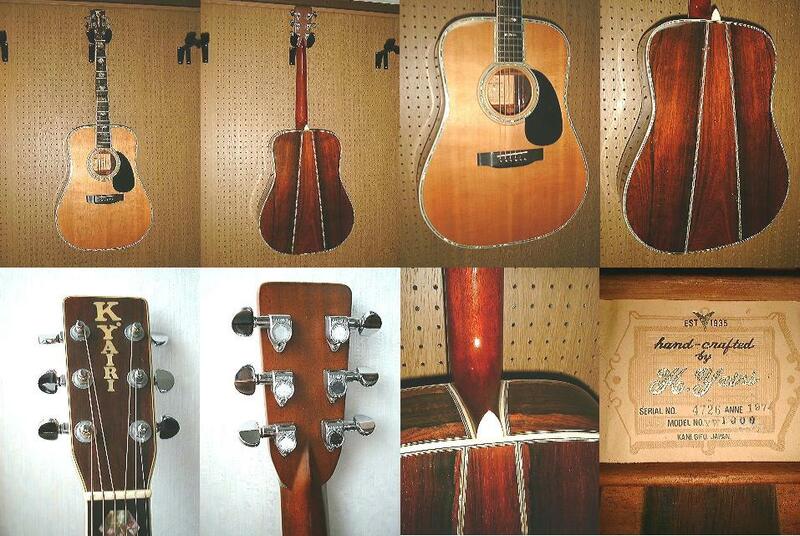 I just found my Japan made Martin D-45 copy that I was looking for, at least for now. I have managed to became the very proud owner of a 1973 Morris W-40, which is as close to a Martin D-45 that my budget could allow. Ideally I would have liked a Yairi YW- 1000 but they tend to go for 1000-2000€ so I had to settle for a Morris W-40. I’ve read a lot of good things about Morris, at least the ones made in the 1970’s so hopefully I will not only look like Neil Young, I will sound like him too, or maybe not. It doesn’t have the vertical logo, which is a shame but those tend to cost 500-600€ if you get one straight from Japan and are pretty rare here in Europe. Well at least it has hexagon mother of pearl inlays and the beautiful 3-part back with Brazilian rosewood and maple. Let’s see how good it sound and looks when it arrives next week. Here are some random photos I found of other Morris W-40. Some random Morris W-40 pictures I found online. Moridaira (Morris Guitars). Founded in 1967 by Toshio “Mori” Moridaira, the Moridaira factory produced high-quality guitars, including the infamous Morris badged guitar.